It’s time to drink champagne and dance on the table because a little party never killed nobody! 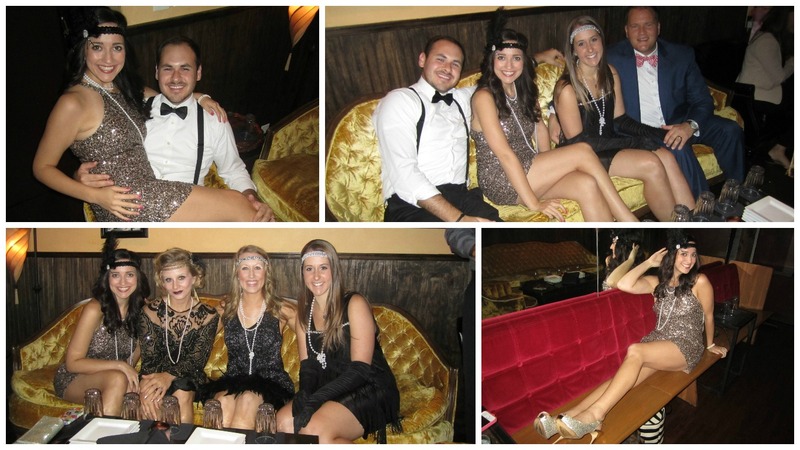 In high school, my favorite book was the Great Gatsby and I fell in love with the allure of the Roaring 20’s decade. 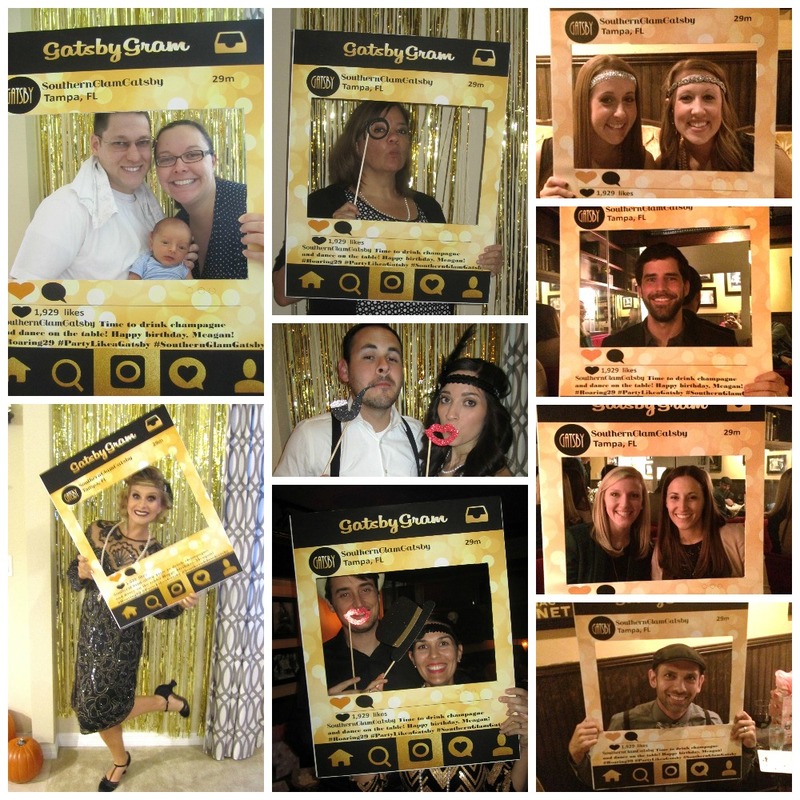 I decided to celebrate like Gatsby for the last year in my 20’s and have a Great Gatsby birthday party. I had been eyeing the sprinkle birthday cake from Dough and my sweet husband took note and surprised me with one for my party! 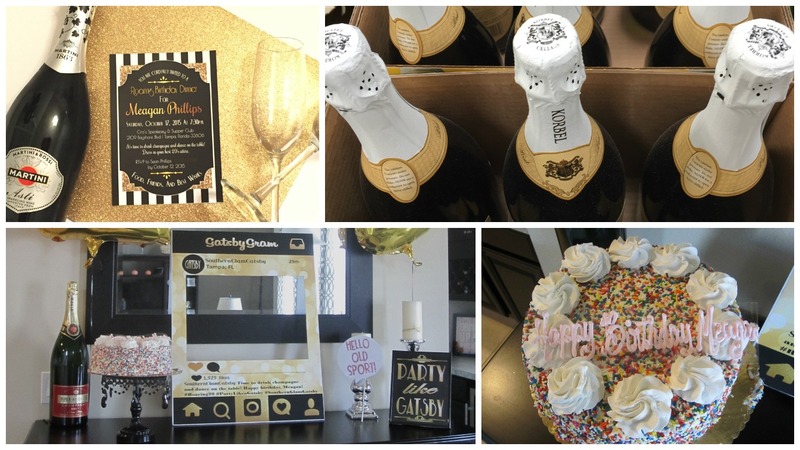 The fabulous invitations are from SoCalCrafty, fun printables/Instagram print from InkMeBeautiful, and the amazing photo props from LetsGetCreative. Isn’t Etsy amazing? Each business was amazing to work with and provided artwork to compliment my event design. We started the party a bit early with photos at home so the few who couldn’t make dinner could celebrate a bit and sip champagne. Afterwards we headed to Ciro’s Speakeasy and Supper Club to meet the rest of the group and spoke easy in the private lounge behind the bookcase. The handcrafted cocktails were absolutely amazing as was the food! It was a fabulous night celebrating with wonderful friends! Everyone looked amazing dressed up and I couldn’t ask for a lovelier group of fun people. 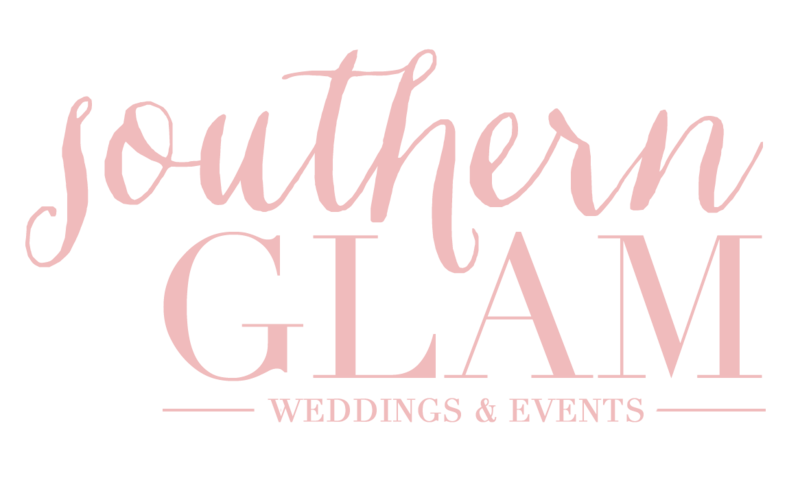 There were sparkle, pearls, lace, and feathers everywhere – it was definitely a Southern Glam Weddings & Events production! 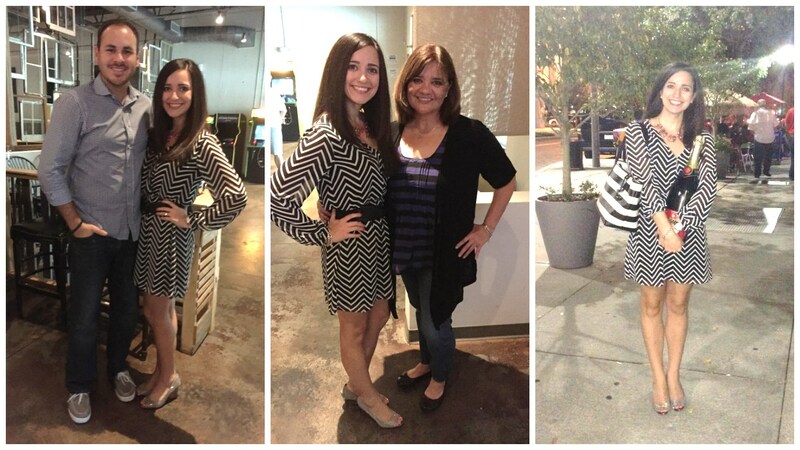 That gorgeous dress I wore … rented from Rent the Runway! I hated to part ways with it when my time was up! Of course I had to get a photo with my dapper Chipper Jones! 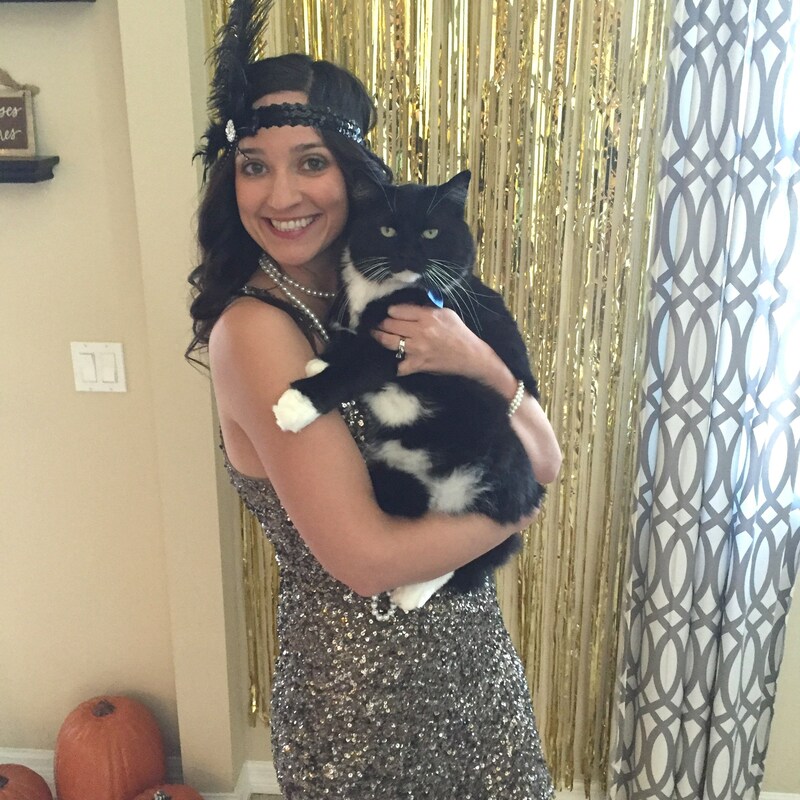 He’s always ready for a glamorous party with his tuxedo! PS: That giant bottle of champagne from the first photo is from Crumb&Cork. The night before I celebrated with family (I actually celebrated ALL week!) 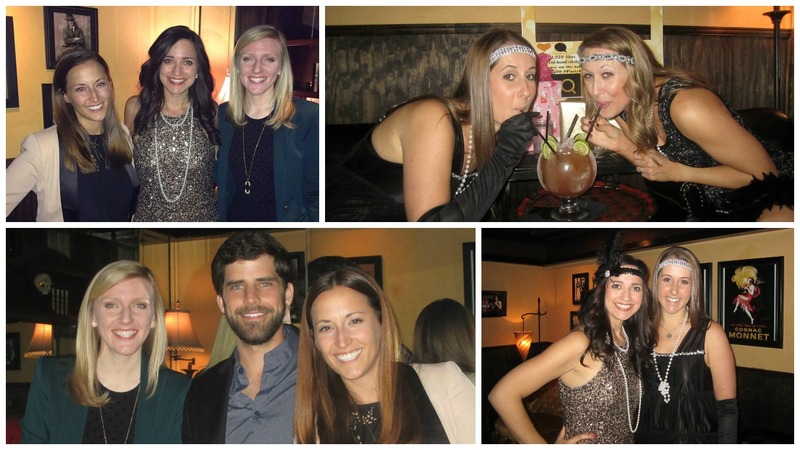 and ended up with a lovely souvenir that perfectly complimented the Southern Glam Gatsby party the following evening. I proudly pranced around downtown Tampa with it in tow all night! Thank you, Crumb&Cork! 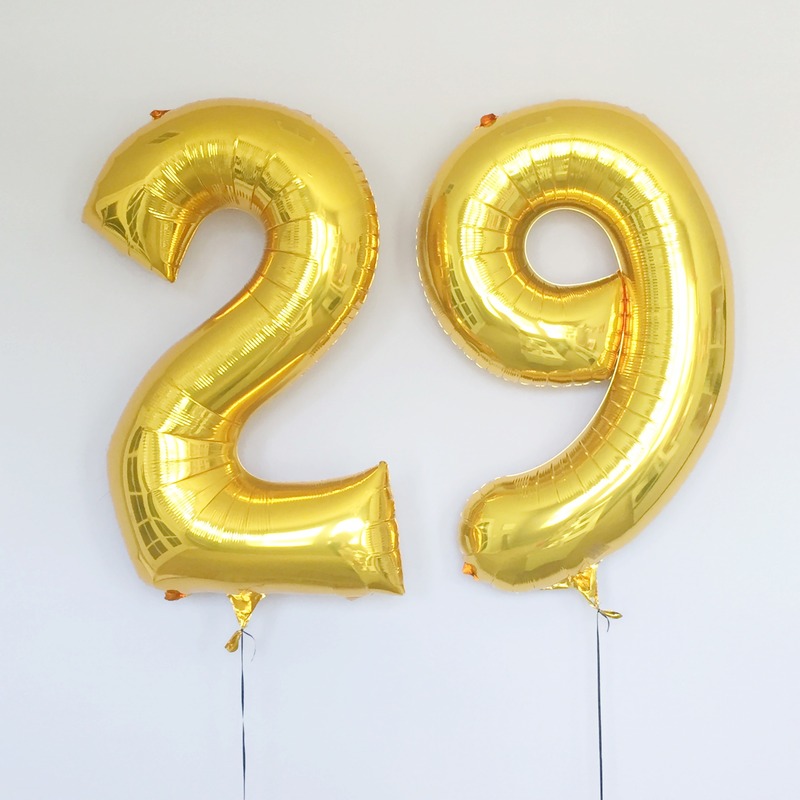 Pop fizz clink to 29! If the year is anything like my birthday week, it’s going to be a wonderful year! Cheers!